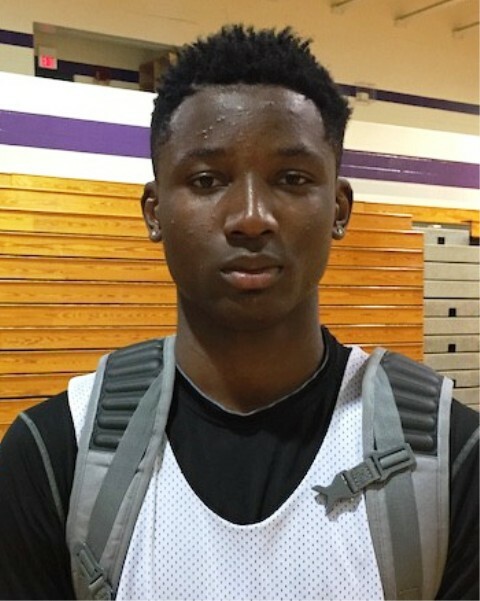 Equipped with a 6-9 plus length frame, Foster is the best player in the class at this stage. Young for his class, the skilled, instinctive, athletic forward can do it all in dominant fashion. He’s physically above the others in this class both in terms of his strength and athleticism and that’s just the physical tools. Skill wise he can finish with either hand, he can score around the basket, he soars in transition, he can put the ball on the floor and finish through traffic, and he also has the ability to rip the nets from beyond the arc. Defensively he’s active and disruptive while also being a big force on both the defensive end of the court and the offensive end of the court. Having touted the potential of players like Harrison Barnes, Jabari Parker, Jayson Tatum, etc. as freshman I can say that Foster is ahead of all of them at the same stage. He’s the real deal and he’s only getting started. Watch highlights of Michael Foster now at NY2LASPORTS.TV courtesy of Movement Hoops. There’s a lot to like about Clarke and he’s just getting started as a prospect. 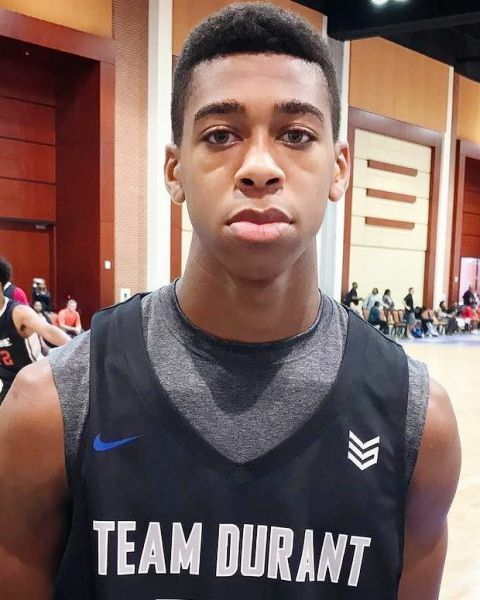 Highly skilled, great size, plus length, athleticism, instincts, handles, vision, and a textbook perimeter stroke that is silky smooth from beyond the arc, Clarke is right there with Foster and Baldwin at the head of the class in 2021 right now. Clarke can attack off the bounce, he can score at multiple levels, he can elevate over defenders and rip the nets with his jumper and he’s smooth and efficient with everything he does. A no doubt high major impact talent if he stays on the path, Clarke has scary potential and he’s a special blue chip talent with enormous potential. 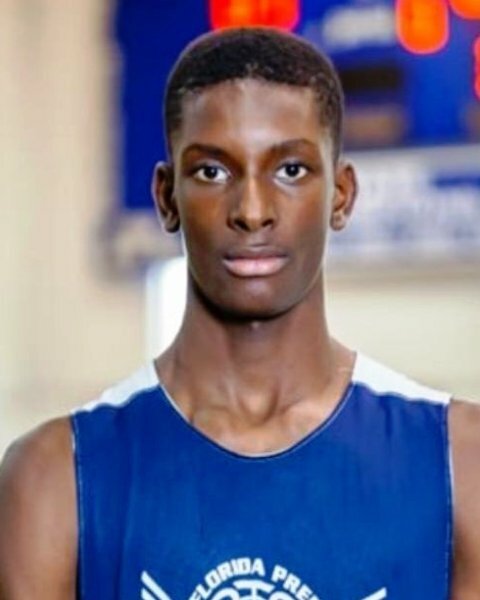 Another extremely gifted talent with the ability to score at multiple levels, Baldwin is another near 6-8 plus length wing with a 7 foot wingspan and high major impact potential. Physically he’s solid but instinctively and skill wise he’s exceptional as he has an excellent perimeter stroke, the ability to score at the mid-range level, and he sees the floor exceptionally well making for a solid passing prospect as well. 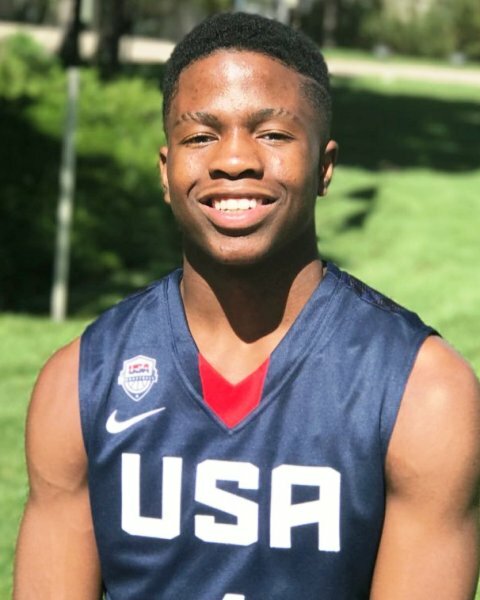 Baldwin is the son of the current UW-Milwaukee Head Coach and that knowledge has been passed along to the younger Baldwin and he oozes with potential on all levels. Far from a finished product, Baldwin is a consensus top 5 national prospect and he’s just scratching the surface of his potential. A lethal mix of size, power, athleticism, instincts, and potential, Cisse has a level of awe factor to him already and he’s just beginning his ascent. A plus length near 7 foot interior talent, Cisse is active and disruptive defensively with his agility and athleticism making him a nightmare already in altering or blocking shots. Offensively he’s got nice bounce and decent hands making for a solid catch and finish guy off dribble penetration. 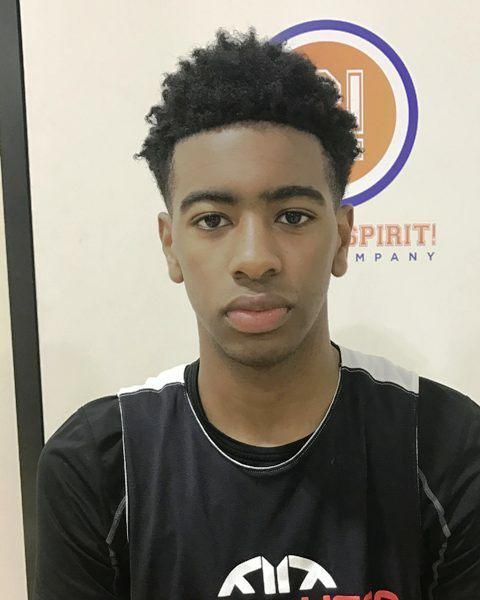 He runs the floor well, he can step out to the mid-range area and knock down the jumper, and he can elevate over defenders and power in baskets as well. 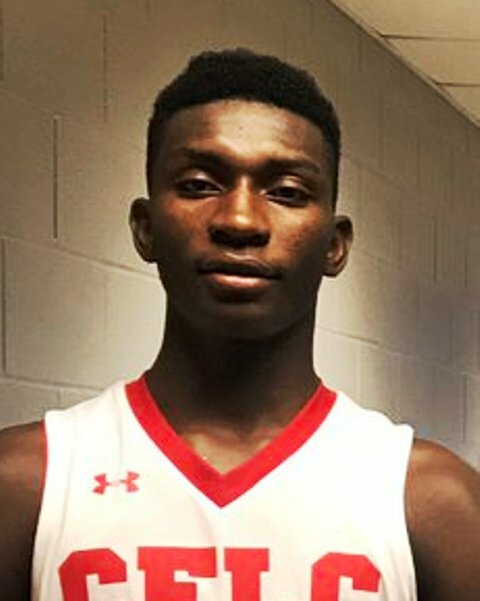 Mix in the ability to clean the glass and Cisse is a full service blue chip interior prospect who will challenge for top billing in the class each of the next four years. 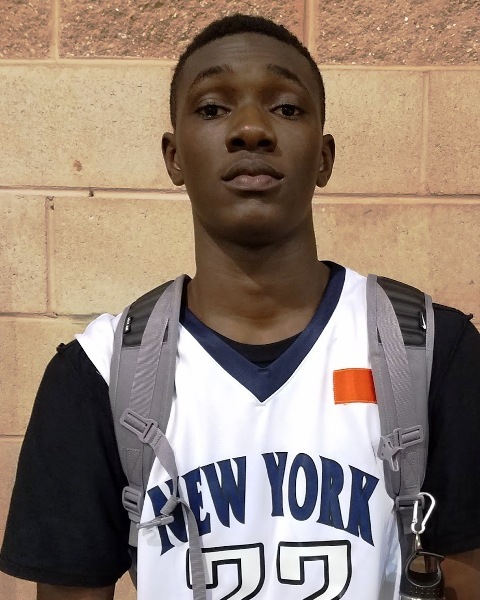 A talented big with the ability to score inside and out, Diabate is a wiry 6-9 plus length forward who can score with his back to the basket or face up and go by defenders on the dribble or rip the nets from beyond the arc. His skill packaged is more advanced than usual bigs at this age as he has a solid perimeter stroke, he can pull up off the dribble, he has decent footwork and he can finish with either hand around the basket, and he’s a potential matchup problem with his ability to score inside and outside. Far from a finished product physically, Diabate is raw with his movements so he still has a lot of room to grow laterally and vertically making his potential scary like most on this current list. Another blue chip talent who’s shown flashes of everything, the blue bloods will be all over this special talent over the next few years. Another highly skilled and high ceiling talent with a 7 foot wing span and a lean athletic near 6-6 frame, Jeffress drips with potential like the rest on this board. He handles the ball well, he sees the floor well, and he has the ability to attack off the bounce to create or finish…the ladder of which he can do with either hand. His pull up at the mid-range level is solid and he can rip the nets from long range. A solid athlete with the ability to create matchup problems with his size, length, and athleticism, Jeffress has a really nice feel for the game for a young talent and he looks like he should add a few more inches to his frame before it’s all said and done. Another blue chip talent to pay close attention to in the coming years. A gifted young big with quickness, explosive athleticism, and skill, Kuminga is raw and that’s scary considering how impressive he’s been in flashes. Defensively his size, agility, length, and athleticism make him a dangerously dominant talent potentially in terms of his post defense, his help defensive, and his ability to alter or block shots. Add to the mix solid rebounding potential and feel and you have a significant force on that side of the court potentially big picture wise. Offensively he handles the ball well, he can go by defenders off the bounce, and he has quick explosive leaping ability for his size giving him the ability to finish consistently at the rim or posterize defenders that decide to challenge him. His perimeter stroke has good extension and excellent rotation and he’s shown an ability to rip the nets from beyond the arc easily. There is a tremendous amount of clay to mold Kuminga into a high impact blue chip talent in the coming years. An impressively intriguing prospect potentially. Arguably the top freshman in Texas right now Edwards is a 6-7 plus length smooth athletic wing with a very high ceiling. A multi-faceted wing with handles, vision, playmaking ability, breakdown skills, athleticism, etc. Edwards is a scary young talent who promises to be a hot commodity in the Lone Star state over the next few years. His perimeter stroke extends beyond the arc and his ability to finish at the rim off the bounce and at the mid-range level with creativity is impressive. His frame, length, and instincts impress me as he looks like he’s still growing and he has a lot of intangibles on both ends of the court that few young prospects possess. Still raw in some areas and needing to refine his skills and get stronger, Edwards is another talented prospect who looks and feels like a consensus top 10 talent nationally potentially before it’s all said and done. There are others a bit more polished that Isitua at this stage but given the fact that this is an early look at prospects who have 3 plus years to go it’s hard to go against a near 7 foot prospect with hands, instincts, athleticism, and solid footwork. Isitua is a long lean talent with a 7 foot wingspan who can catch and finish at the rim with either hand and with solid athleticism. His athleticism, length, and size make him a potentially dominant force on the defensive end already and offensively he can score at the mid-range level on in with a variety of moves including those that allow him to score with his back to the basket. Still developing physically obviously, Isitua is one of those that drips with exceptional potential and considering the progress he’s already made in a short period of time you can expect his status to soar substantially if he continues to put in the work. Now in Texas look for Isitua to be a staple in the top 15 national picture over the next few years. He starts at #8 on pure size, agility, athleticism, and potential. A physically advanced guard that borders on 6-0 at the present time, Harmon can take over the game in a variety of ways but his perimeter jumper is smooth and lethal when he’s clicking on all cylinders. He’s a powerful blend of quickness, skill, and instincts and he can break down defenders to create or score given his vision, athleticism, and strength that allows him to absorb contact and finish. He rips the nets at the mid-range level and beyond the arc and he brings to mind a little Kemba Walker, some Chauncey Billups, etc. when you catch his game. Obviously it’s early but in a high school sense Harmon opens a lot of eyes at this stage and he’s very consistent with his performances and his dominance. Like the efficiency with which he moves and like his overall feel and perimeter ability in terms of scoring the basketball when it matters. A highly regarded talent at this stage, Harmon is a physical guard who can fill the box score in dominant fashion.